tropical forests. for readers of all ages. Written on specific topics by our FORRU researchers. Under construction! 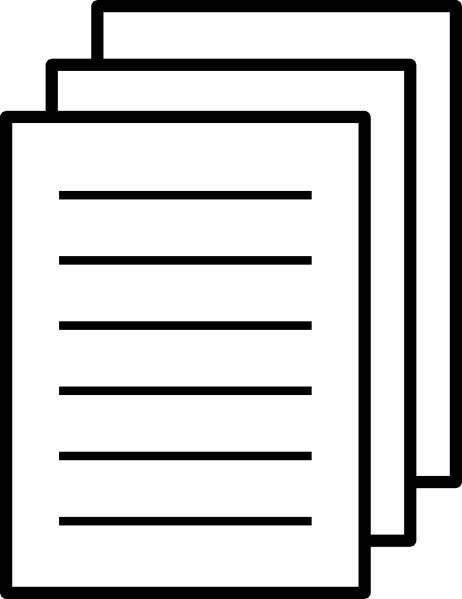 View the old version of FORRU's scientific papers here. Abstracts by students who have performed research with our unit. in seasonal tropical forest gaps. ADHIKARI, B. 1996. Relationships between forest regeneration and ground flora diversity in deforested gaps in Doi Suthep-Pui National Park, Northern Thailand. JITLAM, N., 2001. Effects of container type, air pruning and fertilizer on the propagation of tree seedlings for forest restoration. KAFLE, S. K., 1997. The effects of forest fire protection on plant diversity, tree phenology and soil nutrients in a dry dipterocarp forest of Doi Suthep-Pui National Park. KARIMUNA, L., 1995. An investigation of the ground flora in forest, regenerating gaps and plantations on Doi Suthep. KASEMSUK, M., 2005. A comparison of growth of naturally established and planted trees in a degraded deciduous dipterocarp forest, assessing the potential for forest regeneration. KAWINJAN, N., Suwannarattana, S., and Sonthichai, S. 2004. Effects of forest restoration on plan litter dynamic and soil invertebrate diversity of Doi Suthep-Pui National Park. KHOPAI, O. , 2000. Effects of forest restoration activities on the species diversity of ground flora and tree seedlings. KOPACHON, S. 1995. Effects of heat treatment (60-70ํC) on seed germination of some native trees on Doi Suthep. KUARAK, C., 2002. Factors affecting growth of wildlings in the forest and nurturing methods in nursery. MANNAN, A., 1994. The importance of vesicular-arbuscular mycorrhizae (VAM) in deciduous tropical forests. NAVAKITBUMRUNG, P., 2003. The effects of mature trees on seedling establishment on deforested sites. PAKKAD, G., 1997. A database of seed and fruit morhology of trees in Doi Suthep-Pui National Park. PHILACHANH, B. 2003. Effects of presowing treatments and mycorrhizal inoculum on the germination and early seedling growth of tree species for forest restoration. PHONESAVANH, B., 1994. Effects of irrigation on the phenology and seedling community of a deciduous dipterocarp forest. POKAEW, C.1993. The diversity of trees and seedlings in burnt and non-burnt forest. SANITJAN,S.2001. Species Composition of Birds at Tham Nam Lod Wildlife Conservation Development and Extension Center, Mae Hong Son Province. SHARP, A., 1995. Seed dispersal and predation in forest on Doi Suthep. SINGPETCH, S., 2001.Propagation and growth of potential framework tree species for forest restoration. SINHANSENI, K., 2008. Natural Establishment of Tree Seedlings in Forest Restoration Trials at Ban Mae Sa Mai, Chiang Mai Province SUWANNARATANA, S., 1994. Effects of irrigation on the ground flora of a deciduous dipterocarp forest. TOKTANG, T., 2005.The effects of forest restoration on the species diversity and composition of a bird community in northern Thailand. TUNJAI , P., 2006.Direct seeding as an alternative to tree planting for restoring degraded forest ecosystems: a comparison between deciduous and evergreen forest types. ZANGKUM, S., 1998. Growing tree seedlings to restore forests: effects of container type and media on seedling growth and morphology. CHAIYASIRINROD, W., 1999. Effects of media and fungicide on seed germination and early seedling growth. CHANTONG, W., 1999. Effects of forest restoration activities on the bird community of a degraded upland watershed. INCOMSERB, P., 1994. Effect of mycorrhizae on germination and seedling growth rate of native tree species at Doi Suthep-Pui National Park and Chiang Mai University. SINHASENI, K., 2005.Seed dispersal and germination of 2 native tree species, Gmelina arborea (Roxb.) andTerminalia chebula Retz. var. chebula. SUNLAYANUBAN, P. 1991. Effects of mycorrhizae on germination and seedling growth rate of native tree species. THAIYING, J., 2003. Effects of forest restoration on small mammal communities. TIANSAWAT, P., 2005. Seed dispersal and predation of the evergreen forest tree UA-APISITWONG, S., 1988. Small mammal communities in Doi Suthep-Pui National Park and Phu Khieo Wildlife Sanctuary.